Do you have any guidance for communications folks who are tasked with wrangling stories from foundation program officers and sometimes from the field? Are there examples of effective workflow around story collections? Your colleagues don’t believe in the value of stories. If people in your organization aren’t sold on the idea, then gathering stories will indeed be more like the “wrangling” that you mentioned and less like a night around the campfire. To overcome this barrier, you could get the endorsement of the president or other high-level folks in the organization. You might also talk with prospective storytellers about how the stories will benefit their work, whether it’s by clarifying program goals or publicizing a grantee. Lastly, you could persuade them of the value of stories by the power of example—point to the Pittsburgh Foundation (page 35 of my guide) or Gara LaMarche’s afterword (page 43). To give skeptics an example that’s closer to home, try doing a test run yourself with a story or two. People think they don’t have stories to tell. Among the foundation staffers and activists and other people I’ve worked with, many start out by protesting, “I have nothing to say!” One way around this is to look for low-hanging fruit. Is there a program officer or grantee organization that has a readymade story that can serve as an example? Probably best to make sure the story isn’t too good, lest other potential storytellers get scared off by how high the bar has been set. Alternately, you might try coaxing a story out one of the more reticent people. It can help to make it a fun process—take him out to lunch to get background, or ask her for photos that illustrate her story. Having a couple successful examples—of stories, but also of how unintimidating or fun the process itself is—will prompt others to take part. You don’t have the time or expertise. Gathering stories might seem awfully daunting. Consider the possibility that shorter stories might be just as effective as longer ones—a 1-minute video instead of 3 minutes, a photo with a paragraph of narrative instead of a pages-long testimonial. For me and many people I’ve worked with, crafting a short story or editing a longer one down to size is ultimately a gratifying process, because that’s how you hone in on the drama. If your project will truly demand lots of time or the skills of a more gifted storyteller, consider hiring a writer or interviewer. The Walter and Elise Haas, Jr. Fund has a section of its website called “First Person Stories,” which tells the human dramas behind the issues areas where they work. The fund worked with a local oral history organization to interview narrators and draft stories, which were then paired with photos and shared on the foundation website and through social media. It’s hard to create a good story. Few stories are going to emerge fully formed in the first telling. But you can create a process that’s likely to yield more good stories, or “good enough” stories for your purposes. By “good enough,” I mean to ask about the purpose of your story work. Are you looking for stories to use on the foundation website? Or do you need a few anecdotes to dramatize an issue in a speech you’re giving? Or perhaps you just want to solicit lots of short narratives to get a sense of where your community or colleagues are on an issue. Consider what you need to get the job done well, and plan accordingly. 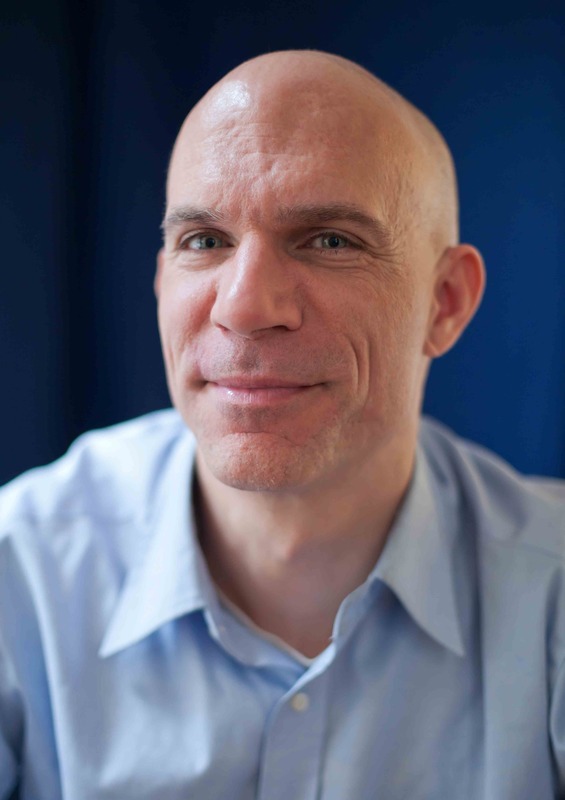 For some tips on what makes a good story, see the interview with communications expert and storytelling trainer Andy Goodman on pages 7-8 of my guide. You’re concerned about gathering and using the stories. If you’re looking to solicit stories on a regular basis, you’ll want a system to make your life easier. One idea is to create a mini guidebook for your storytellers: a PDF or video that says what kind of stories you’re looking for and how they’ll be used, tips on how to tell a good story and examples of winning stories. (That’s what Northern California Grantmakers did in “Demonstrating Impact: A Guide for Storytelling.”) Another option is to create a story bank, whether that’s a “story” field for each entry in your database, a YouTube channel or a Tumblr page where people can freely submit stories on a given topic. Consider the examples of story-banking on page 32 of my guide. Also, it can’t hurt to set realistic expectations for yourself and your storytellers about whether and how the stories you’re soliciting will be used; that way you can avoid any unnecessarily hurt feelings or bruised egos. The whole thing feels like a lot of work. Gathering stories takes time and energy. But at the same time it can make your job—and the work of your organization—more engaging and efficient and even fun. If this story work starts to sound overwhelming or just plain tiring, try dialing back. As suggested above, dip your toes in the water with a small experiment in storytelling rather than a full-fledged program. Check out a few videos on the websites of “The It Gets Better Project” or “Define American” for inspiration. Focus on the pleasurable aspects of storytelling—the craft of telling, editing, or performing stories, the great feeling that comes with creating something. 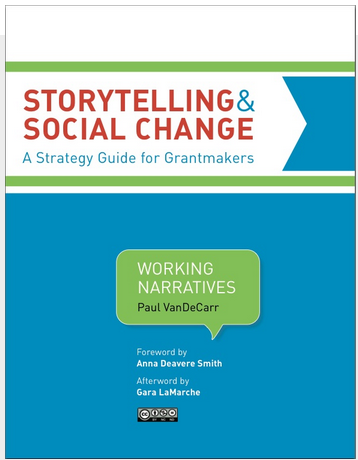 For further discussion about storytelling and social change, or to pose your own questions on the topic, I invite you to download the “Storytelling and Social Change” guide, and follow the new Working Narratives blog.